Hardened and stubborn ear wax is a problem that many people have to deal with and it can cause a lot of discomfort, inconvenience, and even pain. If you want a product that can effectively and painlessly get rid of this problem wax, you can try Cerumol Ear Wax Drops. You will find that Cerumol Ear Wax Drops are very easy to use and very effective in loosening and removing the stubborn wax that is causing you problems. This is a proven treatment that has worked for many people, providing them with fast and effective relief from the discomfort and problems associated with ear wax. 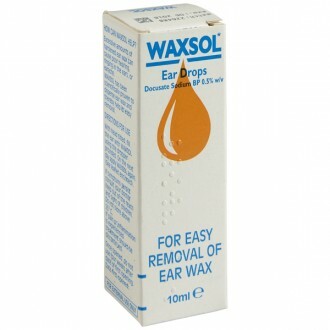 The formula is very gentle so it won't cause irritation but it is also able to quickly get to work in order to loosen the ear wax ready for removal. It is suitable for use prior to going to have your ears syringed as well as for home use. Tilt your head to the side with the affect ear facing upwards. Instil five drops into the ear at room temperature, then massage gently round the exterior part of the ear. Avoid touching the ear with the dropper. Use the drops twice a day for three days. Not recommended for children under 1 year of age. Do not use the drops if the ear drum is perforated or if the ear canal is sore or inflamed. Need to know more about Ear Wax? Is Cerumol safe to use if I’m pregnant or breastfeeding? There is no evidence that would suggest using Cerumol ear drops would cause any harm. The absorption of any of Cerumol’s constituents is extremely limited. However, it is always advised to check with your GP or pharmacist before using any medicine whilst pregnant or breastfeeding. How long will I need to use Cerumol Ear Drops? Cerumol ear drops should not be used for longer than three days without consulting your doctor. How will I tell if the drops have worked? You should use the treatment for a maximum of three days. By the fourth day, the loosened ear wax should have worked its way out on its own. If the ears are still plugged with wax, you will need to visit you doctor or practice nurse as syringing may be necessary. If this is the case, having used the drops will make this procedure easier. What does using Cerumol feel like? Upon initial application, the user may experience a warm tingling sensation. 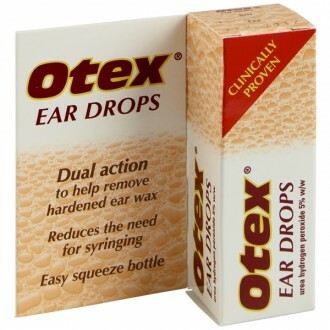 Applying these drops to the ear wax can temporary increase deafness, though this is normally short lived. If you are concerned about any of these symptoms, please seek advice from a healthcare professional. How should I store Cerumol ear drops? Cerumol should be kept out of sight and reach of children. It should not be used after the expiry date or six months after the drops are opened. The packaging and container can be thrown away with the household rubbish or recycled. Under what circumstances should Cerumol not be used? Is there a difference between Cerumol and Cerumol Olive Oil Ear drops? Yes, Cerumol ear drops contain a unique oil-based formula that lubricates the wax and ear canal. This has the effect of loosening the ear wax. Cerumol Olive Oil Ear Drops works in a similar fashion. However, the olive oil-based formula offers customer a natural way to gently soften and remove irritating ear wax.